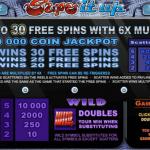 Supe it Up is a video slot game that will give you a chance to experience a race of your lifetime, and you should thank Microgaming for that. You do not have to be into car races to enjoy this game, you just need to enjoy fast and furious gaming to love this slot. 5 brightly colored cars are the key to the best wins here you just need to match the right ones on the reels. We have 2 special symbols that will allow you to make some changes to your balance. The wild symbol is there to stand in for every other symbol to complete a winning line. The only symbol it cannot substitute is the scatter. But that is okay, since we need the scatter symbols to activate the free spins feature. You just need to land 3, 4 or 5 scatters to receive 20, 25 or 30 free spins respectively. 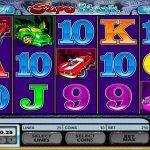 This is not all, the wins during the feature are a subject to a x 6 multiplier and on top of that it is also possible to re-trigger the free spins in this game. So, the bottom line, Supe it Up is a really nice game from Microgaming. 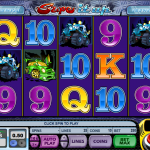 But this comes as no surprise since some of the best slots come from this provider. They have games with different features just so they can please the needs of every kind of punters. If you are into fast cars and good bonus features this could be a great game for you. The betting options are also wide so you can find your perfect bet size for you, whether you are a high roller or low roller. Sun is the real gold and in SunQuest a 5 reel slot by MicroGaming, you get to realize that.